Leica cameras don’t come cheap. The Leica CL, for example, costs $2,800, while the Leica SL will set you back $6,000. And then there’s the Leica M10-P, which costs an eye-watering $8,000. The Leica M, however, has a price tag of just $45. But take note, this is a Lego version of the full-functioning M, which comes with a $6,000 price tag. 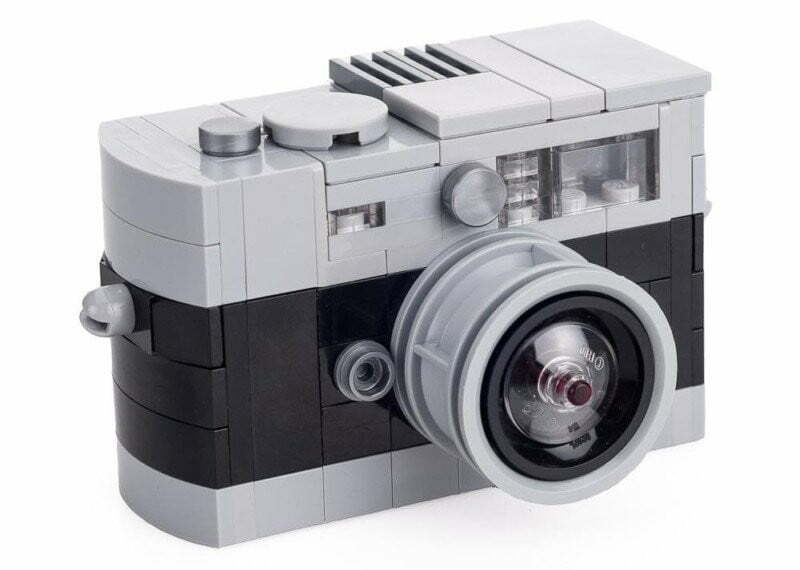 At 3 inches long, 2 inches high, and 1.25 inches deep, the Lego Leica M is also much smaller than the original device, though the design is more detailed than you might expect — from the “LED display” right down to the camera strap mounts. It comes in two versions — black/gray and brown/gray — though neither bears the distinctive Leica logo on the front. But that’s something you can easily add yourself (with a red marker!). Leica’s Miami store, which is selling the kit, suggests the Lego Leica as “a great gift for the photography enthusiast,” adding that build instructions can be found online if the construction process gets a bit tricky. OK, it may not be the real Leica camera that you dream of one day holding, but if you love Leica and like Lego, then you could still have some fun constructing a toy version of the Leica M.
You can purchase the Lego Leica M online from Leica’s Miami store, though at the time of writing the kit is out of stock. However, the store promises to fulfill all orders just as soon as the next batch comes in. Another Leica-inspired gift selling alongside the Lego kit is a $45 Leica M10 USB stick with 16GB of storage. If you’re after a more complex camera-based challenge for yourself or your kids, then you may want to hold out for the Kano Camera Kit. It also uses Lego bricks, but the final result is a 5-megapixel digital camera that actually works. The construction process teaches simple coding skills and creative photo manipulation, among other things. Kano’s kit is expected to hit stores in 2019 following a successful Kickstarter campaign earlier this year that saw pledges top half a million dollars. London, U.K.-based Kano has produced a number of award-winning kits, among them a $250 laptop that kids can build themselves.